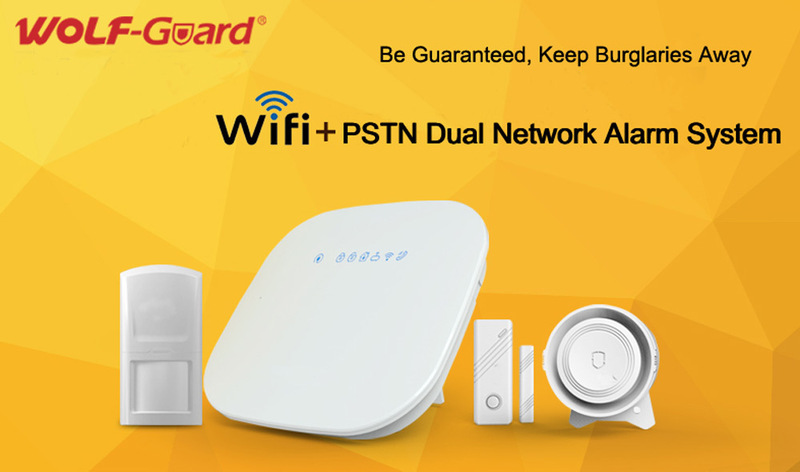 2017 Asia World-Expo HK Security Spring Fair is available between 11th to 14th, 2017 (Beijing Time) at Asia World-Expo HK. 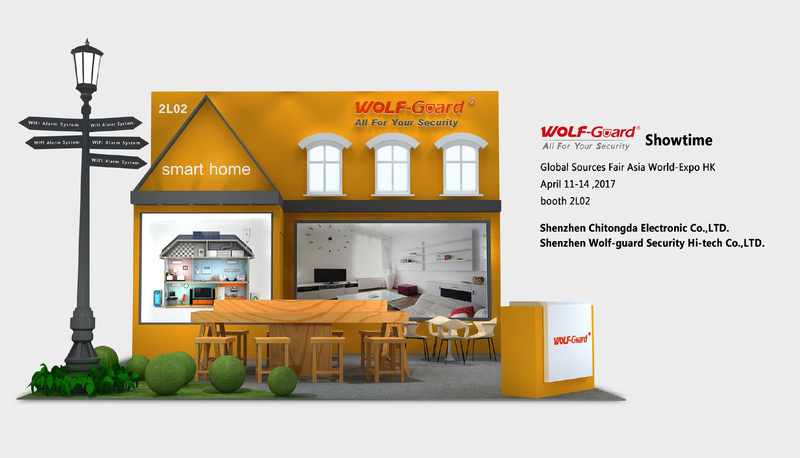 As one of the top home security brands, Wolf-Guard is also invited to be on the fair with numerous newly developed home security products. Global Sources Electronic Fair is the largest electronic sourcing fair in the world with a variety of innovative technologies to be present on the fair. 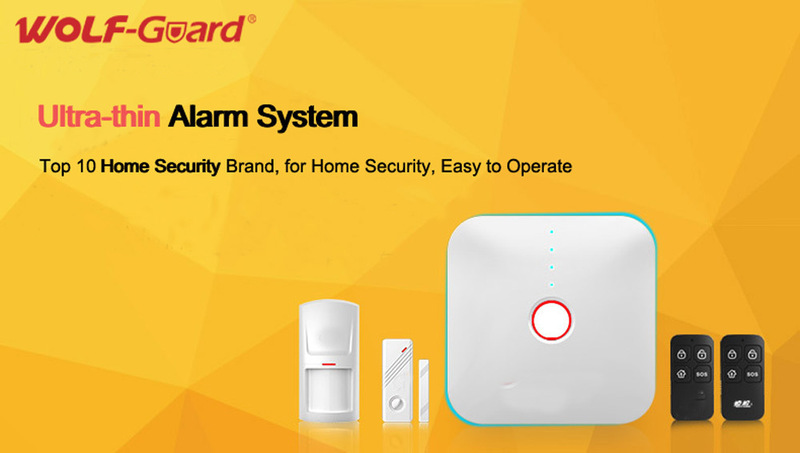 This time, multiple new products of Wolf-Guard will be shown on the fair, like home security solutions, kid and elderly care solutions, smart home and a large variety of new home security products (WiFi + GSM. 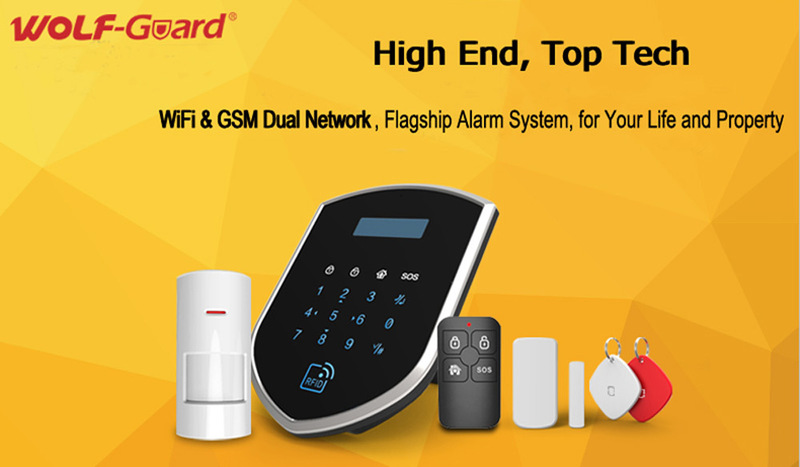 WiFi + PSTN dual Network alarm system series, WiFi alarm series, smart detector series etc), buyers from all across the world get the opportunity to take a glance at of all these new products. One thing to say is that the booth No. 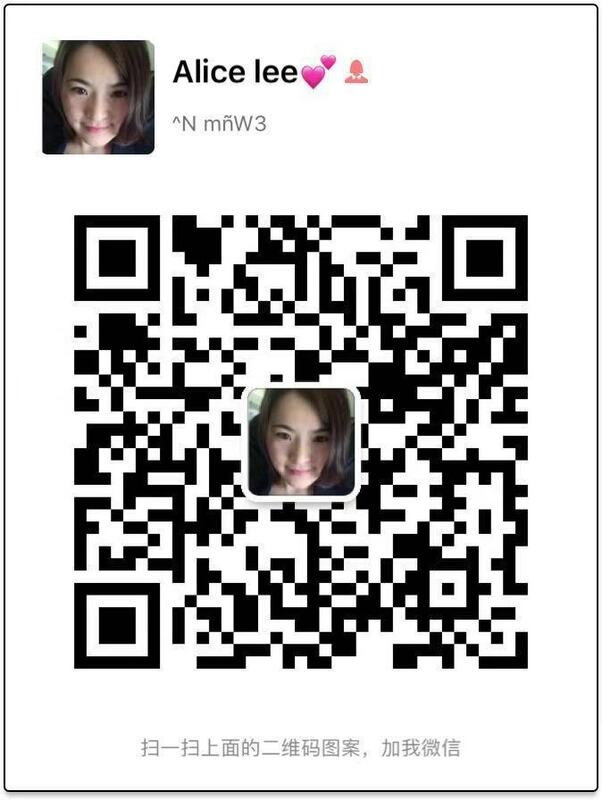 of Wolf-Guard is 2L02, get it in your mind and drop by. 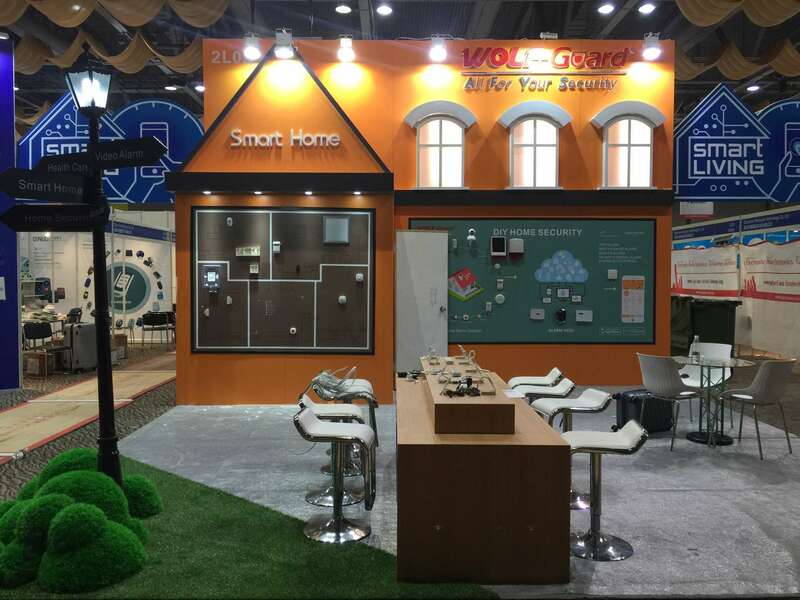 The booth is elaborately build with a high grade atmosphere, the dominate hue of the booth is warm orange with fashionably designed poster, the color of the top and bottom of the poster is the same of our Wolf-Guard logo, making it extremely attractive. Welcome all of customers, new and regular, home and abroad to drop by our booth and to experience our new products. More preferential policies are waiting ahead.